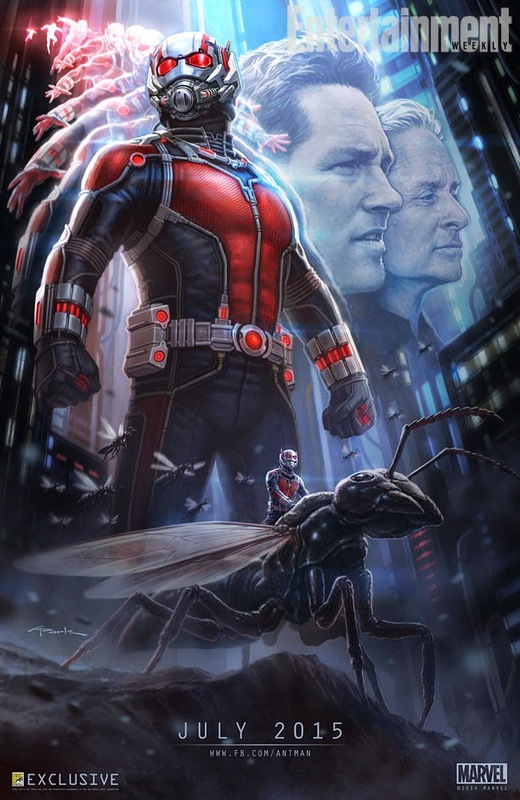 Feast your compound eyes on this: an exclusive look at an Ant-Man image that Marvel Studios will be sharing this weekend at Comic-Con. The illustration is a piece of pre-production concept art specifically made for San Diego Comic-Con, which kicks off Wednesday night. So expect to see the movie heavily showcased on Saturday in Marvel's always bombastic presentation. It hasn't been an easy couple of months for Ant-Man. Production was expected to be underway already, but director and co-writer Edgar Wright jaw-droppingly dropped out of the production after eight years of labor on the project.